Welcome to the website for the City of Mississauga Youth Movement. 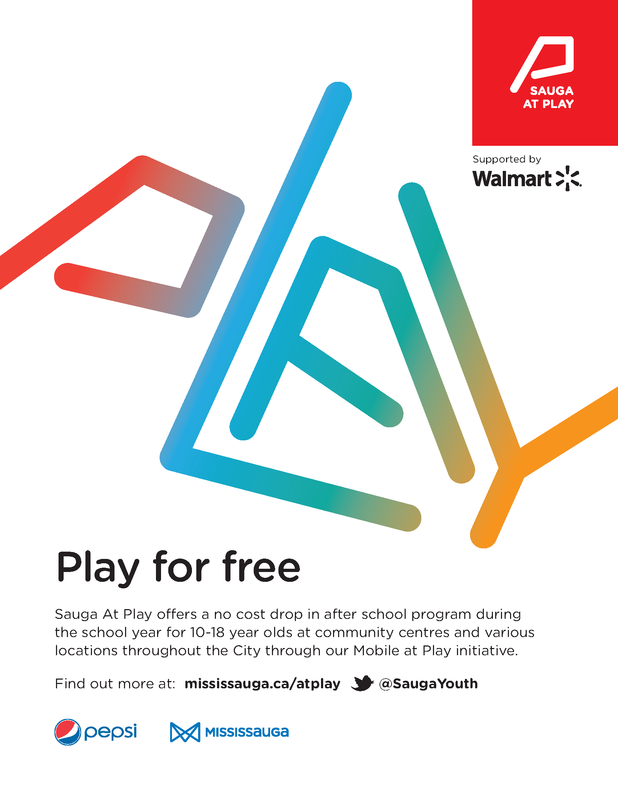 Officially endorsed and recognized by Mississauga City Council in 2009, the City of Mississauga aims to make Mississauga a youth-friendly city. Click the link below for the full report of the Youth Plan. We want your input! Shape The Future as we update our Youth Plan! Complete the survey for a chance to win a $100 Recreation Gift Card. Sauga At Play offers a no cost drop in after school program during the school year for 10-18 year olds at community centres and various locations throughout the City through our Mobile at Play initiative. Mississauga's Library System has plenty of exciting tools and programs to offer. Whether it's borrowing books, CD's, DVD's or even video games, accessing the Internet, or finding volunteer opportunities, our libraries have it all. The library also offers book clubs, reading buddy programs, writing contests, Teen Advisory Groups and more! Click here to browse our library catalogue and more. Ride for Free with a Freedom Pass! Looking to get active or find something to do afterschool? Our drop in page lets you find exactly what you're looking for quickly and easily. You'll be able to find sports programs, fitness centres, museum tours and more with the click of a button, customizing what you want to do, when you want to do it. Click here for drop in schedules. Mississauga is a place that promotes the talents of its artists and recognizes and shares its history. With art galleries and theatres, you'll be amazed at Mississauga's eye for the arts. Go to source for all kinds of information on art organizations, cultural industries, festivals, events and more! Get involved, MYAC holds a connect second wednesday of each month at Civic Centre. Various topics, activities, food and volunteer oppourtunities provided. For more information follow @MYACMISSISSAUGA on Twitter. Limelight Association of Young Artists' mission is to connect aspiring young artists and provide them with the support, recognition and opportunities required for them to thrive. Click here for more information. Celebration Square is a state-of-the-art event destination. With tons of things to do year round ranging from free concerts, outdoor movie nights, fitness and yoga classes, skating, open mic nights, you won't ever get bored. If you're looking for some down time, kick back with your laptop with free Wi-Fi throughout the square, and heated patio at the C-Cafe. Click here free event listings and more. Last year, 200 youth provided 1600 hours of volunteering during Rebel Week. All event organizers will receive volunteer hours for their time. Email rebel.youth@mississauga.ca to suggest or discover how else you can get involved during the week. Making Mississauga "Youth-Friendly" is a big job and we need your help! We are looking for a team of enthusiastic youth (ages 12-24) from our community to step up and make this happen! Any one who is interested in participating is encouraged to complete the Youth Movement Volunteer Form. Please do your best to complete as much information as possible. If you are unable to complete, please ensure you have included a name and phone number and you will be contacted. Representing the Youth Voice in Mississauga, the Mississauga Youth Action Committee (MYAC) is always looking for passionate volunteers for their general membership as well as the MYAC Youth Assembly. MYAC hosts MYAC Connect - a youth networking event held once a month for youth ages 14-24, and the Youth Assembly - a forum for youth representing community centres, libraries and high schools around Mississauga to vote and discuss issues impacting the city. For more information on how to get involved please email myac.miss@gmail.com or visit @MYACMISSISSAUGA on Twitter . 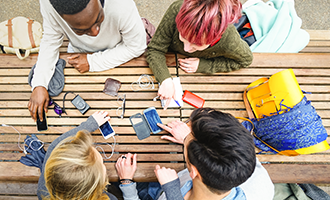 Get involved directly within your local library with one of the Teen Advisory Groups. Members assist library staff in creating captivating programs for young adults. If you love books, music or reading then join a Teen Advisory Group today and earn community service volunteer hours. Click here for more information on how to get involved. Click here to check us out on Facebook, including photos, updates and more! Click here to check us out on Twitter, including links, updates and more! Check out some answers to commonly asked questions that you might have regarding how to get involved, what you can do to build your skills or who you can talk to for more information. Click here for current opportunities available with various community partners! The City of Mississauga has many employment opportunities available for youth within a wide range of areas. Click here to find out more on current, seasonal or future opportunities that might be available to you. Are you a young entrepreneur looking to start your dream job and business? Whether you are starting or growing a small business or just thinking about it, the Mississauga Business Enterprise Centre (MBEC) can help you. Learn from small business professionals to Start Build and Grow your small business. Click here for more information of how the Mississauga Business Enterprises can help you! Click here for contact details of important organizations that assist youth when needing to talk to someone, or just need more information on something. We're always looking for feedback direct from Mississauga's youth. If you have a question, comment or just something to say, this is the place to go. Programs include Arts, Dance, Drama, Recreational/Instructional Skating, Gym Exploration Programs, Swimming, Instructional Sports Programs, Special Interest and Youth Drop-In Programs.